Narmadeshwar Shivling do have mysterious super power in it that induces focus and concentration of the mind and help in focusing the attention. Ancient sages and seers of India have recommended suggested for worship of Narmada Shiv linga so that any person can connect with Lord Shiva, there starts the healing energy of this Spiritual healing stone, the connectivity is the factor that keeps this rolling river water stone to spread its energy. Spiritual Healers believe that the Narmada Stone from river heals and helps in cleansing and opening the chakras to resolve issues, also they say that it helps in activating the energy within which is also called as kundalini energy and the seven chakras. It awakens the energy centers and brings feelings of peace and wellbeing. It enhances personal or group meditations for clearer flow of energies. 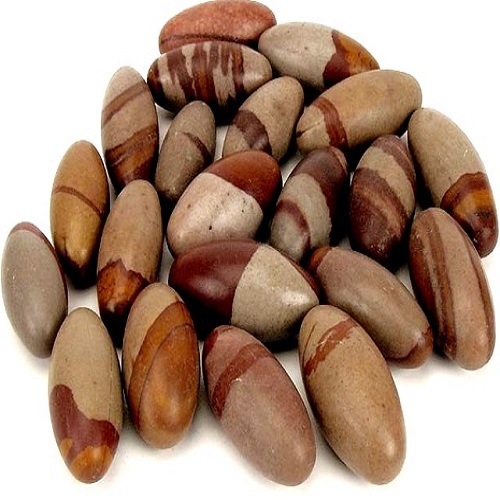 Natural Spiritual healing stone balances and brings harmony to the surrounding environment by cleansing the prevailing negative energies and replacing them with positive vibez. Natural Shivling also helps in maintaining the cordial relationship, its recommended for healthy relationship between husband and wife. Couples who keep and worship Narmadeshwar Shivling in their home are blessed with Lord Shiva’s blessings. Narmada shivling can be used as a Security tool; with the energy and blessing the person who is carrying the stone will feel bold and courage and will have a strong feel of energy security belt around them.